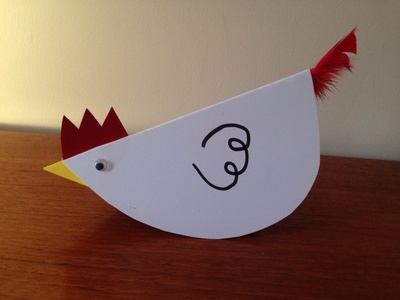 We loved Claire's paper plate rocking chicken and decided to make our own greetings card version. 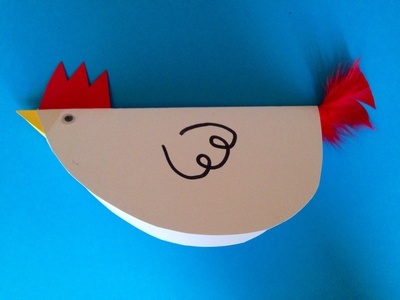 We made our hen white but you could make a yellow chick the same way to create a fun Easter card. 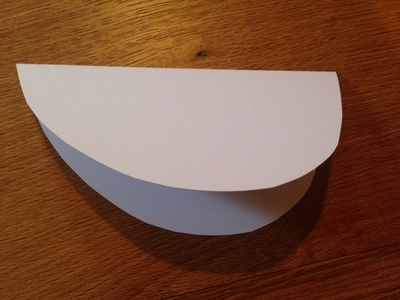 Fold a piece of white card and cut out a curved shape along the fold. 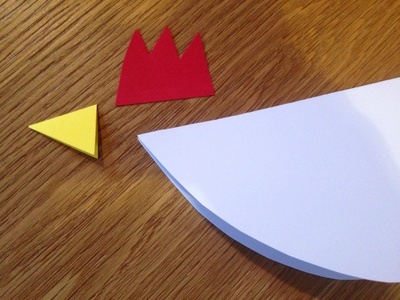 Cut out a red comb and yellow beak. Stick these onto the hen. We cut a small slit across the fold to slide the comb in and taped it in the inside. Glue a googly eye on each side. Stick a tail feather on at the back. Draw some wings on both sides using the black pen. Your hen card is now ready to send.